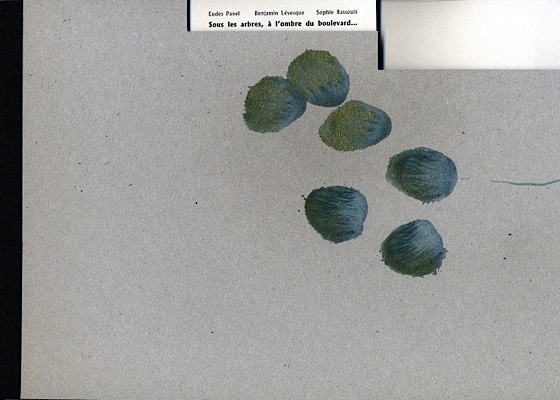 Text by Eudes Panel, photographs by Sophie Bassouls, color intervention by Benjamin. Book in slipcase comprising: booklet text by Eudes Panel and 280x21cm pictogram, photos by Sophie Bassouls painted by Benjamin. With a photo by Sophie Bassouls enhanced by Benjamin. Work signed by the authors. 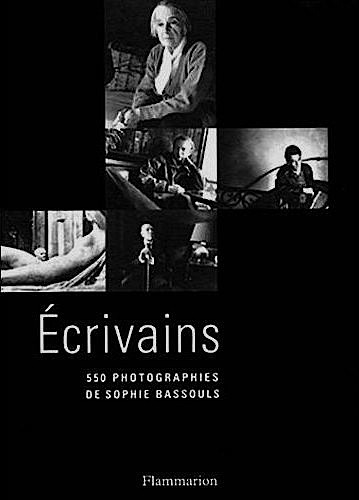 Over the course of thirty years, Sophie Bassouls has photographed more than 3000 writers. After working for various press agencies, she has covered literary current events for Corbys-Sygma since 1986. Her homages always display the furtive traces of an encounter: Calvino is a shadow passing by on Saint-Germain-des-Prés, Solzhenitsyn appears in front of the dense curtain of a forest, Auster seems suspended in a flight of stairs. 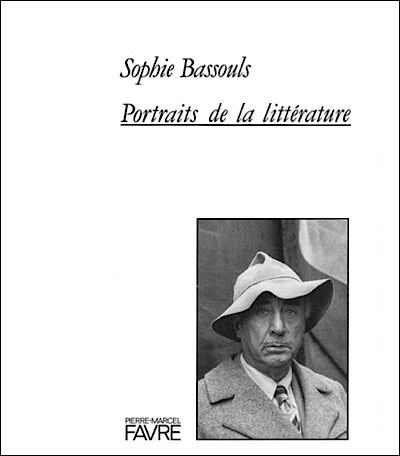 Whether in the city or in an apartment, or in the borrowed setting of a street, Sophie Bassouls always knows how to win an authors trust, recounting the brief story of a mutually granted image. 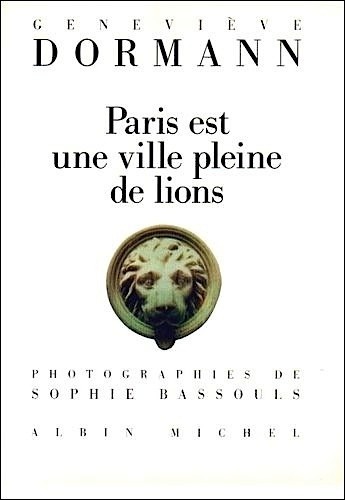 An eccentric journey, full of imagination, often humorous, through the Paris of lions: among statuary and architecture, childhood memories, historical anecdotes, but also the symbol of the lion in different civilizations, in heraldry, astrology and the contemporary imagination. They come from different horizons, belong to separate generations, their problems, their enchantments, their ideas have nothing in common, but all of them, in their own way, are writers. Its writing that joins them together, whether they are poets, novelists, historians or philosophers. I have read them, followed them and pursued them. I have felt respect for them, affection, admiration, sometimes irritation, but above all curiosity. That is what drove me to these encounters; then a hope arose, sometimes attained, of creating an image which would reveal ideas and words by capturing a face. How can I console myself with never having photographed Conrad, Dostoevsky, Proust, or Rabelais? I live in my own time, fortunately, and at first Gombrowicz opened his door, Lawrence Durrel prepared Indian food for me between two photos, Michel Tournier, my accomplice in photography, lit up the lamps in his secret studio and Marguerite Yourcenar welcomed me to her distant island during the thawing season, with a smile. I would like to thank them all. For all of these photographs, it took two of us. I dont believe in paparazzi photos. They need to be given, accepted. The subject of the photograph gives himself up, puts himself in your hands. Its up to the photographer to understand. I engage in a profession that scares people a little, as I am often told. As soon as my Nikon, or my Leica is trained on them, I notice a movement of withdrawal, an anxiety, their naturalness disappears, their faces freeze and I have to make an effort to dispel this discomfort. Trust and a certain sense of complicity are almost indispensable. Photographs by Ulf Anderson, Sophie Bassouls, Daniel Boudinet, John Foley and Irmeli Jung. 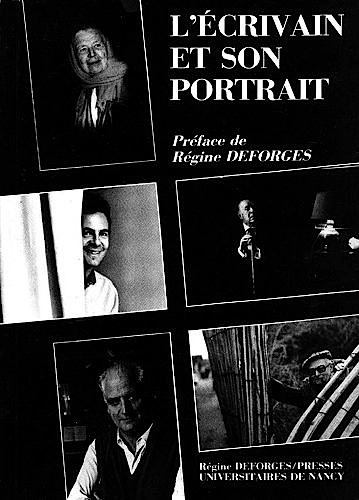 Preface by Regine Deforges. Book edited for the exhibition Le Livre sur la Placeat the Museum of Fine Arts, Nancy.